Shortly after my novel came out, I got an interesting email from a reader. She said she hadn’t been sure she would like a book half written in the form of journals, but had been grabbed by the point of view: the private side of a woman that made her public self look like a facade, and the surprise of the friend who inherits them. To be honest, that never occurred to me. Certainly blogs have become enormously popular: personal and professional blogs, hobbyist blogs, blogs about illness, health and parenting. But have they taken the place of writing people used to keep privately? In this age of everyone trying to have their platform, are blogs to journals as banks are to money hidden in mattresses? They can’t be. Blogs are simply a different beast than journals. No matter how candid and self-effacing a blog might be, in the end, it’s always written with the consciousness of someone else reading. With the most sincere of intentions, there’s a certain amount of posturing because they are crafted to be seen by others. It’s the difference between a candid photo and a portrait. In my novel, journals show the unexpected portrait of a young mother as she really was, including the mystery of where she was really going when she died. The bestseller GONE GIRL, which came out the same day, uses journals to the opposite effect, reimagined for public consumption (I won’t say any more than that, no spoiling here) — which to me felt emblematic of the modern changes to private writing. The evolution of blogging has been fascinating to watch. Blogs, with their comments boxes and links to one another’s sites, are looking for community, sometimes even crowdsourcing opininions. But in journals, people are working toward insight, alone — essentially asking of themselves, What would the wisest person I know advise me on this? And then digging deep for the answer. Journals aren’t everyone’s cup of tea. Not everyone processes issues by writing them out. But of those who do — if they take up blogging, is there no longer a need to keep a journal? Even if it’s not quite the same kind of writing, is it close enough? Last year author Chris Bohjalian wrote about this in his newspaper column for the Burlington (VT) Free Press, which he also reprinted on his blog. He said he didn’t keep a journal, because he found that his essays scratched that itch for personal expression and synthesizing observations. I couldn’t agree more; first-person essays might be my favorite kind of writing. But I do have a fondness for the journals I used to keep when I was younger, the place I went to work out the pebble in my shoe. It wasn’t about crafted sentences or analyzing events for others or a strong concluding line. It was an unshowered-with-a-baseball-hat-on kind of place, where there was much telling of it as it is and where there were no trolls, unless you counted the siblings who jimmied the locks on my early diaries. As I got older journals became the place where I processed the big things: what kind of person I might become if I went to this college instead of that one. Whether I should let go of a relationship that was not healthy. And later, whether I should gamble everything — job, rent control, beloved city — for one that was. But a funny thing happened as the years passed. My kids started to grow, and publishing outlets grew — it felt like everything was growing but time. If you had two hours a day to write, what would it be? A magazine assignment, a newspaper piece, a web site or blog essay, a piece of fiction in progress, a volley of tweets? There were countless places to post your writing, ways to connect with the people who might pick up your book if they took a shine to your style. There were even places to write about writing — like, say, this space. It was both wonderful and a little absurd: How many places could a writer write if a woodchuck could chuck wood? Somewhere along the line I stopped keeping a journal, though it was never a conscious decision. Maybe on some level I shifted sensibilities, and grew into someone who preferred making sense of the big things out loud, puzzling them out in community. Or maybe I got tired of the sound of my own voice, unshowered in a baseball cap, muddling through the same conundri over and over. Or maybe it was simpler still. There are only so many hours in a day, only so much writing you can do. I don’t know if there is in fact a falloff in people keeping journals, a demise of writing that is truly private. Though in this age of putting-it-all-out-there-and-up-there, it feels as if there is. I’d be curious to hear from others who either used to keep a journal and stopped, or those who started keeping one in recent years — particularly folks who are active on social media, but find it’s a different itch that needs to be scratched. This entry was posted in On Writing and tagged blogs, candid, Chris Bohjalian, diary, facade, Gillian Flynn, Gone Girl, journals, platform, private writing, writers. Bookmark the permalink. 3 Responses to The Demise of Private Writing? I kept a journal for my daughter when she was born which I gave to her at age 18. When I began the journal I considered it as a gift the grown baby girl. When I finished it an read it over, I realized that it really was the story of my evolution as a mother. There really is something wonderful about a handwritten journal. I still have some of my teen diaries which I’ve shared with my own children, much to their amusement. (See, everyone goes through awkwardness.) I don’t journal much today. It seems awfully slow. When I feel the need to vent, I might do it in a cyber journal. I agree that personal essays can serve this purpose, but journals have the advantage of not needing to be polished. What a lovely line, Evelyn: “it really was the story of my evolution as a mother.” And it’s testament to your relationship with your daughter that you feel able to share it! Thanks for reading here, and sharing your thoughts. I like to write as a hobby; mostly private writing but some writing for intentionally small audiences. So many of the resources and communities for writers online are focused on publishing, which is too bad in a way, because I think private writing (whether it be journaling, fiction, etc) is a beautiful thing. I think of private writing like dreaming. The sleep and dream researcher Dr. Rubin Naiman talks about how dreaming at night is like taking off an uncomfortable pair of shoes at the end of a long day. It’s a chance to let our mind and spirit just do it’s thing with few restrictions. 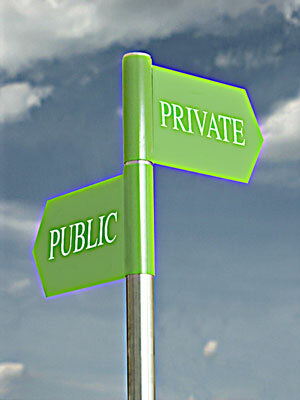 Private writing is like that, which you allude to in your blog post here. One more note about journaling–there is some interesting research on therapeutic journaling lately, and some websites with training for health-care workers (Pennebaker, etc). In the Twin Cities, a researcher found positive benefits of private writing for veterans suffering from PTSD, etc. There is a small journaling and personal writing community on the scene today. You can find a few resources online, community ed classes, etc. It’s not a tremendously strong community; publishing seems to have such a strong grasp on the collective imagination. I for one have recently realized that I need to start doing some work to get some support and validation for myself as I pursue my personal writing practice. I’m not sure what that will look like.